Is There More Google Search Algorithm Updates Going On Now? Home > Google News > Google Updates > More Google Search Algorithm Updates Going On Now? 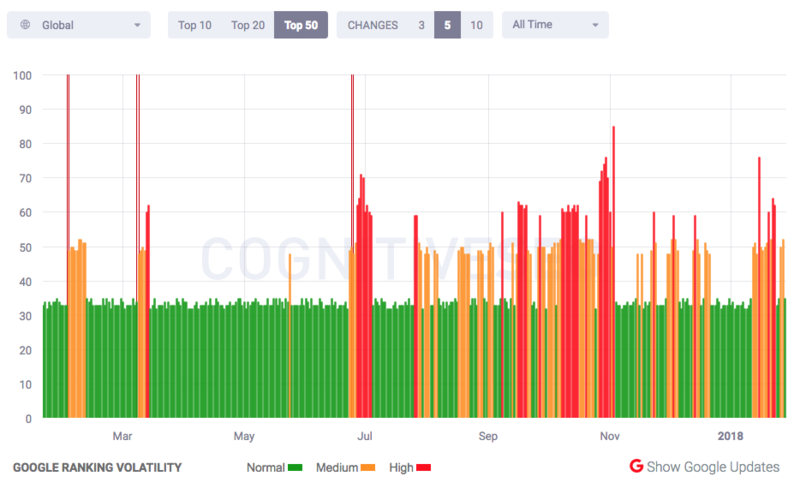 Over the past several days, people have been moaning about ranking and organic search changes in the SEO communities. The most public one is WebmasterWorld, but the overall "chatter," as I like to call it, has been somewhat slow and limited. I am sure some webmasters and SEOs have seen significant changes in their rankings over the past week - as you all tell me, Google is updating several times a day. But I do not personally believe these are massive or largish algorithmic updates with Google as a whole. I do feel I should bring awareness to it, as I have been following them for the past five days or so and the chatter, although limited, is still there. So go check your rankings, your organic search referral traffic and dig in. Anyone seeing another bump or drop in traffic yesterday / today? We are up 15% today. Yesterday ended 12% up. We're not dropping anymore, don't really see a bump though. At least not yet. Our Google traffic has been running a couple of percentage points ahead of last January, but the increase jumped to 7.73 percent last Friday and has been 13 to 15 percent in the last couple of days. Could be a fluke, of course. Some folks are even pointing these changes in traffic to the outbreak in the flu - but that has been happening for the past couple months now.